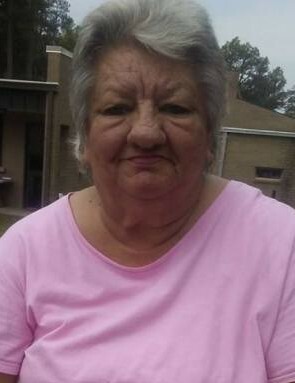 Mrs. Jean Carolyn Eubanks, age 67, beloved wife of Mr. Bennie Eubanks, entered into rest on Saturday, February 2nd, 2019 at Aiken Regional Medical Centers. In addition to her husband she is survived by her son, Bennie Joseph Eubanks; sisters, Louise Kitchings, Molly Rhoden, Dorothy Johnson-Thomas; grandchildren, Joseph Andrew Eubanks and Richard Matthew Payton. She is preceded in death by her parents, Percy E. and Carrie Mixon Pou; brother, Charles Pou; and sister, Margie Pou. Mrs. Eubanks was of the Holiness faith and attended the Full Gospel Redemption Center in Langley. She will be deeply missed by her family and friends and all whose lives she touched. Services for Mrs. Eubanks are incomplete at this time and will be announced as soon as they become available. If so desired, memorials may be made to the American Cancer Society in honor and memory of Mrs. Jean Carolyn Eubanks.